Scotland will face favourites Australia for a place in the men’s basketball final at the Commonwealth Games after holding off Nigeria 66-61 in Cairns to reach the last four. 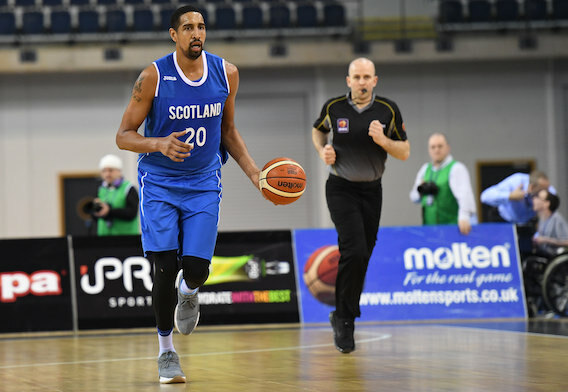 Gareth Murray grabbed a team-high 17 points and eight rebounds as Rob Beveridge’s men pulled away with a 9-0 run early in the fourth quarter to keep up their surprise unbeaten run. 12 unanswered points in the second period had put the Scots as much as 35-21 ahead before Nigeria cut the gap to 12 at half-time. But despite a game-best 24 points and 15 rebounds from ex-NBA forward Ike Diogu, the pre-tournament outsiders held their nerve to shoot over 51% and tee up a showpiece semi against the hosts and hot favourites on Saturday morning. And Beveridge, the assistant coach for the Boomers when they landed gold at the 2006 Games in Melbourne, admits it will be huge to square off against his old mates in Gold Coast this weekend with Canada meeting New Zealand in the other side of the draw. England’s women beat Jamaica 62-40 to make the last four. But England’s men crashed out, losing 97-79 to Canada despite 22 points from Adam Thoseby.